Our primary manufacturing material is northern hard maple, a regionally grown and carefully harvested hard wood. Our lumber suppliers are Forest Stewardship Certified, which simply says that our entire supply chain is on the same page when it comes to being responsible users of our shared natural resources. As woodworkers, we love hard maple. From an environmental standpoint, hard maple has the advantage of being harvested tree by tree, as opposed to being logged in large sections. 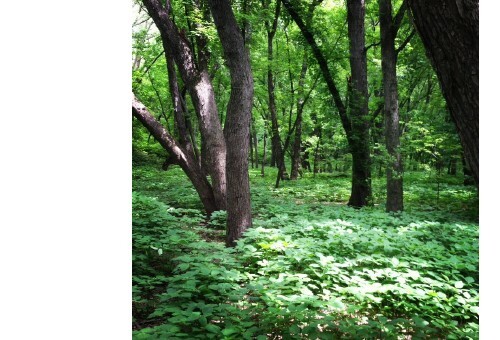 The typical process involves a trained forester walking the woods and identifying specific trees to remove, leaving space for younger trees to mature. The result may be a more expensive harvesting process, but the end result is well worth it, as the future of the species is protected. By using regionally grown material, we avoid needing to use fuel to transport wood to our shop. As the distributor of our own products, we ship directly from our combined shop/warehouse facility to stores and homes across the country. We are able to avoid the environmental impact of ocean shipping, as well as extra truck or train trips required to move products produced by much larger companies to distribution centers, from which they’ll be shipped yet again. The “life experience” of a Beka product usually includes just one trip on a fuel-consuming vehicle, again minimizing our impact on the planet. You expect children’s products to be safe …. protecting your children and their friends from unnecessary risks, while encouraging creative play. At Beka, we take special precautions to insure our products are designed to start out safe and to stay safe over time. In the design stage, we watch for potential pinch points and keep individual components large enough to avoid swallowing hazards. We use a reliable & stable material, produce and inspect each individual component, and apply our personal high standards for safety and aesthetics to every part of every product we produce. Beka products meet or exceed all US safety guidelines. Natural wood, careful designs and reliable craftsmanship are the key! Beka products tend toward the natural. The few painted parts we include are coated in the United States, where paints and finishes adhere to Consumer Product Safety guidelines. Plastic parts used are also produced in the United States, again adhering to US safety guidelines. We have always stayed away from lots of bells and whistles, both literally and figuratively. 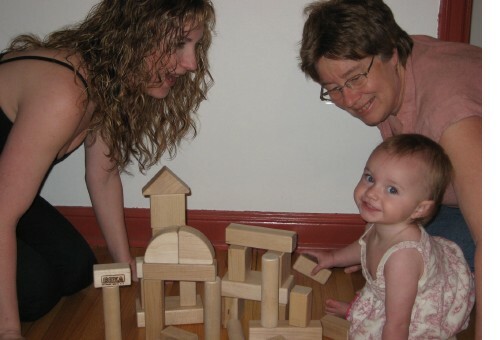 Our own children and grandchildren use Beka Toys and Furniture on a regular basis (see below - 3 generations and growing). We hope the children in your life enjoy exploring their creativity with Beka products as much as we enjoy making them! Thank you for your confidence and for your support!